Christmas is coming: are you ready? That phrase has run around in my head for decades after I saw it on a bumper sticker as a child! In any case, it’s not long until Christmas and I thought this was a great excuse to gather some Christmassy travel tales for The Thoughtful Travel Podcast. I think I’m correct in saying I’ve spent only five Christmas Days away from my hometown of Perth, Australia – two in Japan, one in Tunisia, one in Finland, and one in Austria. As you can imagine, they were all quite different, and I enjoyed each of them for different reasons. My guests in this episode of the podcast also have some interesting experiences of Christmases spent travelling to tell, too, each of them enjoyable for different reasons too. 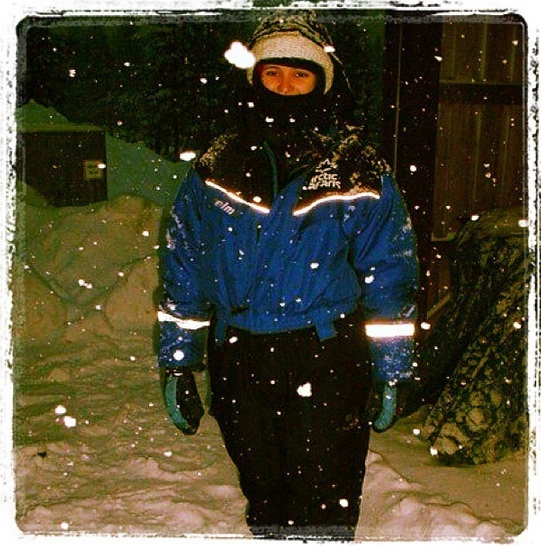 Me spending Christmas in Finland a decade or so ago. My Australian Christmas Day outfit is very different! Wherever you are in the world, and whether you’re at home or travelling, I hope you have a wonderful Christmas season, and that you enjoy listening to this Christmas edition of The Thoughtful Travel Podcast! Merry Christmas! 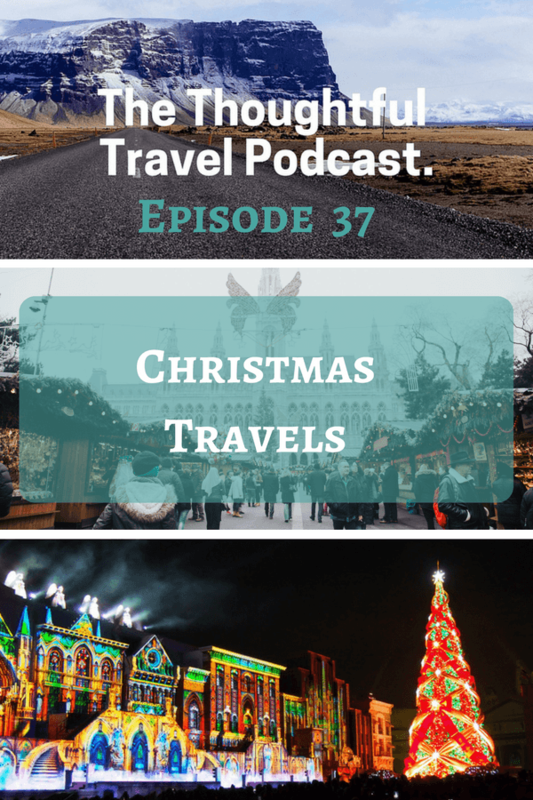 With Christmas just around the corner, Episode 37 of The Thoughtful Travel Podcast turns to travelling at Christmas time and I chat with several travellers who have spent Christmas in far flung parts of the world. First up is Annalicia Lynn who had an interesting Christmas in Taiwan while she was teaching English there. We chat about the cultural differences between many Asian countries and English-speaking nations and she has a very sweet story about how her Taiwanese colleagues tried to create a Christmas atmosphere in the workplace. Emma Mann has recently started a tradition of spending Christmas abroad, and she talks about the difference between spending Christmas in another country where the traditions are strong, versus a place where Christmas generally isn’t celebrated. Finally, Joe Baur from the Without a Path podcast chats about his current experience living in Germany at Christmas time – one of my favourite places to be during this season!